''I can feel the love'' is the new theme this week over at Craft Heaven Shop inspirational blog. For this, I made a tag, using layers of pattern papers, few embellishments and a beautiful stamp called '' I give you a rose'' by Tilda Magnolia. You can find more stamps over at Craft Heaven Shop. Also, if you want to be part of CHS design team, check out the details over here. And if you are looking for new craft supplies, check out the new goodies on their website. For colouring I use inktense pencils, a fine brush and some water. If you have any other questions, please let me know in the comments down below. Thanks for stopping by! Today's creation is going to be my very first creation as ''part time' designer for the wonderful Whimsy Stamps. Thank you Denise for inviting me! Sadly,I couldn't create something for the January release, so I decided to create something anyway. Better later than never! I love this adorable ''Tilly Little Spring Helper'' stamp by Elisabeth Bell. You can find the new clear and rubber stamps over here. They are just lovely! Also, there if you want to enter the new Whismy Stamps challenge, then check out the details over here. I think that's all for today! I hope you like my card, because I really had a great time ( long process) making it. Have a great day! First of all, HAPPY 1st BIRTHDAY Craft Heaven Shop! Come and join the fun! Check out this blog post to win a little prize. Also, if you want to be part of Craft Heaven Shop design team, then please have a look over here for all details! To celebrate this special event, I used a few supplies from Craft Heaven Shop to decorate a drinking jar. This is a great idea, if you want to create something different for your party. Plus this would be really cute as a pencil holder, etc.. Thank you for leaving sweet comments on REinspired with Erum Tasneem! Love to read all your thoughts and I hope you get everything you need and want this year! The lucky winner will get a handmade card by Erum. Congrats Dotty Jo!!!!! I will send you an e-mail with more details! Don't forget, this is just the beginning of REinspired! Don't forget to check out my blog for more amazing people... coming up! Before I share my new creation, I would like to let you know about this great opportunity from Sizzix. Win a Big Shot Plus machine, along with other great dies. I can not tell how much I love using this machine! Don't miss this chance! Click over here to enter. Closing date: 22nd January 2016 at 10am GMT. Good luck! You can check out the NEWS page to see if you are a lucky winner. I got inspired by geometric wall - home decor , to create the background for this card. This is a great way to use all the scraps you have with geometric dies. Sizzix has a great selection of dies. Bunting is one of my favorite dies. You can use this die , not just to create banners, but other interesting creations. If you have any questions , please let me know in the comments down below. Thanks for stopping by! Have a wonderful day! Let's ''shape it''! This is our weekly theme over at Craft Heaven Shop inspirational blog. I made a square card, using a beautiful stamp, called ''Tilda picking carrot'' from Magnolia. More Magnolia stamps can be found over at Craft Heaven Shop. I know! It's been a long time since I made Youtube videos. But today I share a quick video on how I put this card together. You can check out the video over here. Also, you can find me on Instagram and Facebook. As always, don't forget to check out the new goodies over at Craft Heaven Shop. Thanks for stopping by! Have a great day! REinspired is a new part of my blog. This means, I will get to invite some of my favorite crafters over my blog, to re-create one of their old creations, but with a twist. They must add something they never used, or something they have in their own stash, but too afraid to use. As a crafter myself, I look back at my creations and I wish I could have done it in a different way. 1.Who are you? Where are you coming from? Hey! I am Erum Tasneem aka E.T. I live in Karachi, Pakistan. 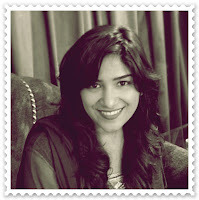 I blog at VIBGYOR Krafts and run a small business by the name Glitter & Swirls. I have an army of cats and I rescue fur babies whenever I am able to. 2.How did you get started? I have been creating art in one form or other since I can remember. Every year in school I used to win an art certificate. But I started making proper cards when I started blogging in 2008. 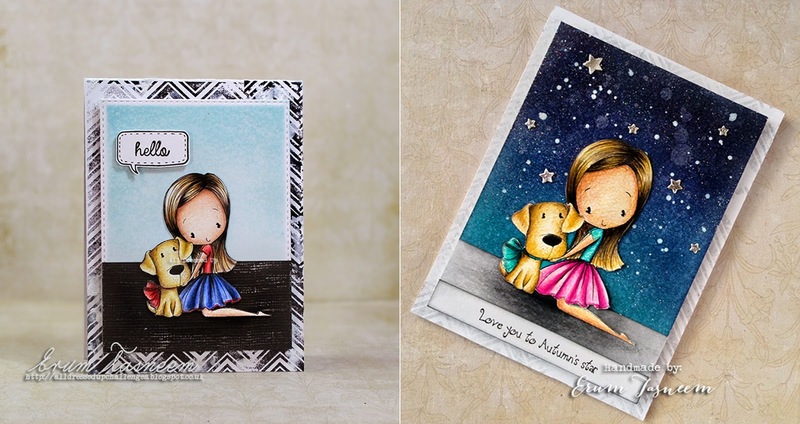 I took the decision to blog after checking out fabulous work from cardmakers all around the world. That's when I found out there are other things that you can use on your cards apart from glitter and sequins! HA! 3.Have you ever had second thoughts and wanted to give up? If so, what makes you continue? Never ever. It has been the best(est) decision of my life. I have been the happiest I have ever been in my life since I have converted my hobby into my full time job. flower making embossing tools and mat because I make a ton of flowers - these two are must haves for me. I have to add one more, blending tool! I use distress inks ALL THE TIME so this is a must for me. 5.Name your favorite supplies companies. Simon says stamp, Technique Tuesday, WRMK, Altenew to name a few. 6.Have you ever bought craft supplies,just because the other crafters did? Never, I follow my own style and buy things accordingly. 7.Name something you are afraid of, but you would like to try. 8.Is there anything in particular we should know about you? Craft related; I dont have one style. I can make a super CAS card and then create the most complicated, layers on top of layers of card. 9.Is there a crafter you would like to recommend? TONS! I have way too many favorites and too many friends to list here. 10.Your favorite snacks,movie and song. Dried figs, salty buttered popcorn. Movie; almost all superhero movies :p Songs are too many to list. Now let's see the REinspired result. As you can see I used the same image and layout for both my cards but the look is completely different I even used the same background stamp on the card base. For the revamped or "reinspired" card I inked the background in darker hues and used sparkling embossing powder to add shimmer. For the base I chose a lighter shade of ink so the stamping wont distract you from the gorgeous night sky. The new never been used before element on my card are the Mama Elephant star dies I won in a giveaway! She did an amazing job! Love both cards! The stars on the second card look magical. 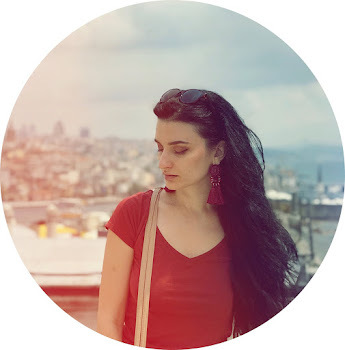 Thank you Erum for sharing your stunning creations with us.Please visit Erum's blog for more amazing creations! New year means new plans and goals. I made a new card for a dear friend,using gorgeous Maja and Pion papers. Both brands are just amazing and great quality pattern paper/cardstock.You can find them over at Craft Heaven Shop.You can easily combine these papers and use them for different projects. Don't be afraid to experiment! If the theme of the pattern paper is Christmas/ Easter/ Valentine's day,don't stop there! Use the other side of the paper or some of the elements to create other projects. We have a new monthly challenge, inspiration ,weekly themes and more interesting things over at Craft Heaven Shop inspirational blog. I will get back to you with a new creation very soon. 'till then stay safe and happy crafting! Are you having a good start this week? I have a new card to share. Sometimes I like to use a sentiment stamp for my creation. However, I don't always have the right one and I end up using word dies. I just love the script dies from Sizzix. Also, don't be afraid to use the holiday dies for other projects. I used the small stars from Merry Christmas die as a little accent. They look so cute! 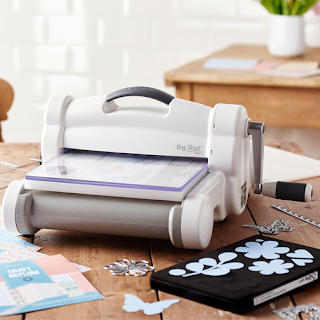 Sizzix has great deals, inspiration and GIVEAWAYS! To make sure you keep up with all the new things, please visit Sizzix. I hope you like today's creation. If you do, please let me know in the comments down below. Thanks for stopping by! Have a wonderful day!